The contest with the biggest implications for San Francisco city government this November is the race for supervisor in District 3. It will determine whether the Board of Supervisors keeps its moderate majority that's friendly to Mayor Ed Lee or shifts the power balance to the progressives. The mayor's pick -- incumbent Julie Christensen -- is being challenged by former supervisor Aaron Peskin. Longtime Chinatown resident Wilma Pang completes the field. District 3 includes Telegraph Hill, North Beach and Chinatown. When I meet David Lee at Chinatown’s Portsmouth Square, he tells me that Chinatown residents will decide the election and with it the city’s political future. 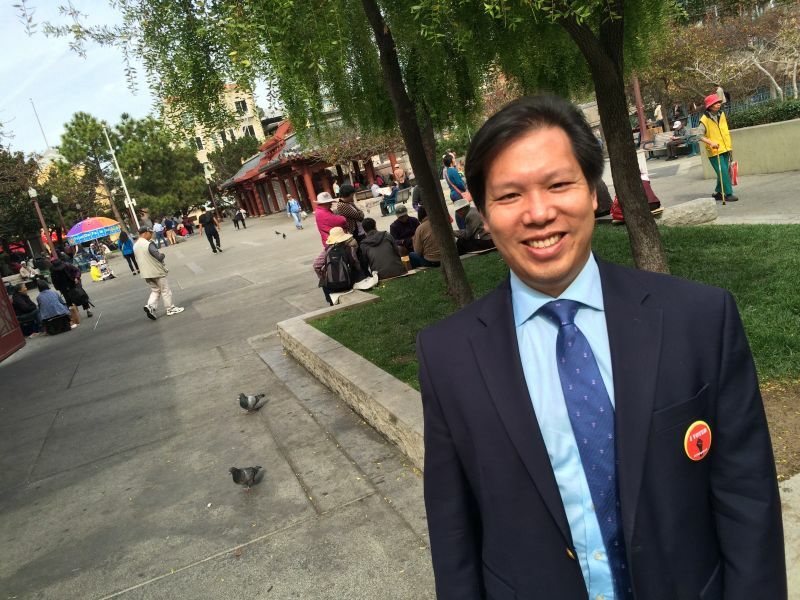 Lee is a lecturer of political science at San Francisco State University and heads up the nonpartisan Chinese American Voters Education Committee, which is dedicated to voter registration. In 2012, he himself ran for supervisor in District 1 but did not win. Small wonder why campaign signs blanket storefronts around Portsmouth Square. Signs supporting Aaron Peskin outnumber those supporting Julie Christensen. “I certainly see Peskin’s message of housing affordability and housing rights resonating with tenants here,” Lee said. “Still, the mayor enjoys strong support in the Chinese-American community." As if on cue, we run into Calvin Louie, an accountant who sits on the board of the Chinese American Democratic Club. Louie says he believes Christensen will help small businesses. He says the closure of the venerable Empress of China restaurant last year has stirred anxiety among small business owners like him. 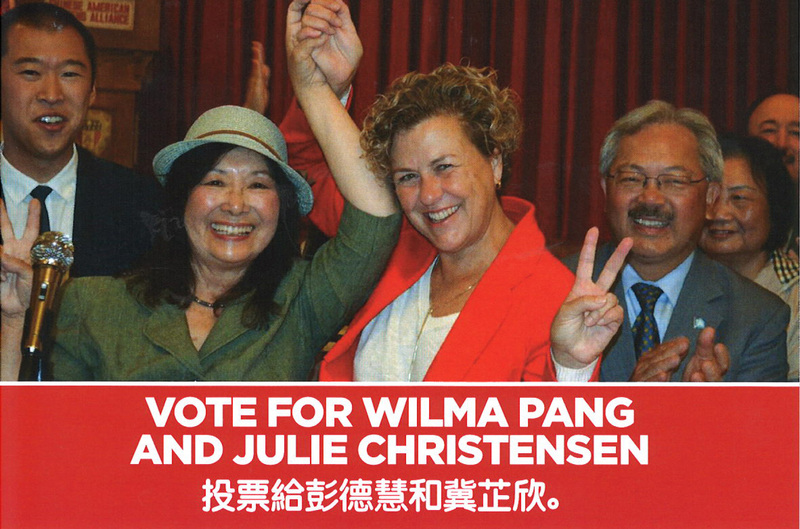 Christensen has also tried to align herself with long-shot supervisorial candidate Wilma Pang. She’s taken out ads in Chinese newspaper asking voters to choose both of them. 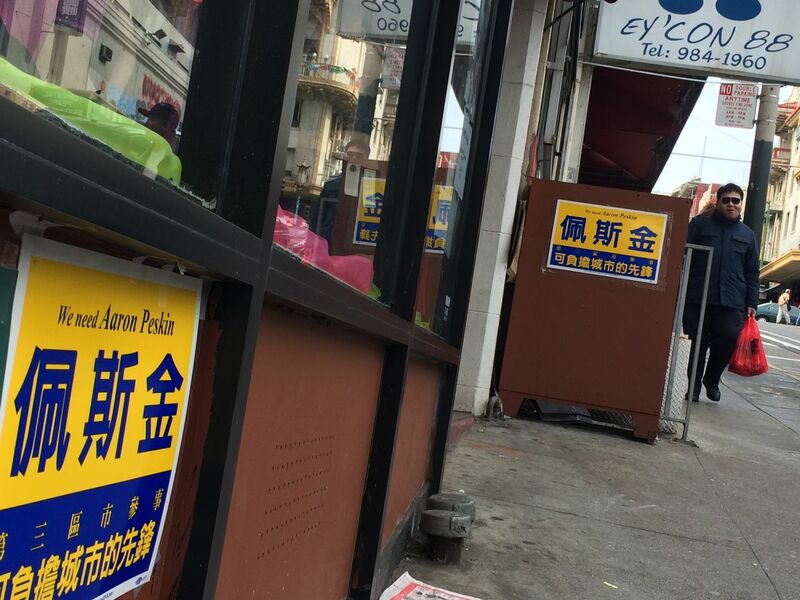 Mailers, television and newspaper ads have been bombarding voters in Chinatown. Lee says the District 3 contest could go down as the most expensive supervisor race in San Francisco history. “Upwards of $2 million in independent expenditure funds have come into the district,” Lee says. Recent figures show the Christensen and Peskin campaigns themselves have spent $378,000 and $436,000 respectively. Lee says every vote will count in this off-year election because there will be so few of them to go around. But voters in Chinatown are engaged, according to an analysis of vote-by-mail ballots by the Chinese American Voters Education Committee. With more than 6,000 ballots cast by the district so far, 38 percent are from Chinese-Americans. Lee says that’s more than their roughly 20 percent share of the district population.